Builder of Seecann.com GoUSVacation Web Sites - at top of St Augustine Lighthouse after climbing up 14 stories of steps. Nebraska Sandhills + Nearby Attractions & "Must See's"
TravelPhotosUSA.com -- downloadable High Resolution, non-Watermarked Scenic Stock Photo favorites from Our 4 US Vacation Guide Sites -- Check back - More Photos are being added often! Subscribe to our free RSS feed on left to get our auto-updating Beach Vacations mini-Blog Feed for your RSS Reader or Personal Home Page at Yahoo, Google, MSN, or others. The Memorable-Beach-Vacation.com Site above is now in the Top 1/2 % Alexa Traffic Ranking! -- and the trend is increasing thanks to our Viewers! Combined with the Fall Vacation Site Below, page views often exceed 120,000 per month. Thanks for your support! + Several Videos Including Deer and Wild Turkeys in my back yard + Migrating Sandhill Cranes! 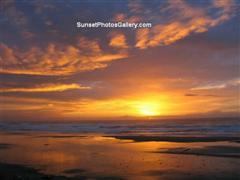 Downloadable Large High Resolution Popular Photos! 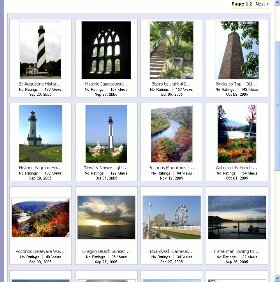 You can View Online Large Image size Downloadable Photos suitable for Printing and Framing -- or Commercially Usable 1 to over 5 Meg .jpg file versions of over 95 of the selected favorite Photos on all 4 of of our "Picture Enhanced" US Vacation Sites. More are being added. Free "Comp" downloads are available - great for wallpaper or screensavers. You set your own image prices and can set up your own custom Photo "Watermarks" or Logos which show on all pre-purchase photos shown on the Site. I have used them for over four years and have been very happy with their service -- and have sold quite a few high resolution photo downloads using this easy to use online Photo Sale Site! 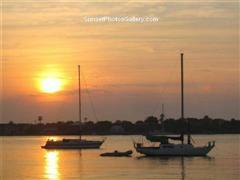 It Includes the St Augustine Lighthouse - a favorite of Gene's if you hadn't guessed! Also a very popular Photo download! use one of the easy links in the XML/RSS box above. No e-mails or name necessary. -- If you don't have an RSS reader and don't want to mess with a download of one, but DO have a Yahoo, MSN, or Google Personal Home Page -- just click on on the: My Yahoo!, My MSN, or Add To Google button if you have a personal home page at any one of those. Picking your New Business Website Topic or "Niche"
Check back for more "building" topics to come - send Gene a topic you would like to learn more about on the Comments & Suggestions Form on the BBWSC Site! Select a Domain Name for Your Business Web Site page - The step by step process is explained. Tips on the very important process of selecting a good "nitche" topic to build the content for your business website. -- Or use the Fill-in Comment Form Below. Thanks! Easy to remember GoUSVacations.com Page with links to all 4 of our "Picture Enhanced" US Vacation Web Sites + Descriptions. To Gene"s Facebook Profile Page - Also shows Gene's recent items at StumbleUpon - will need a Facebook account to View. -- Sign-up is fast & simple -- can use only last initial Vs full last name if you are worried about security -- but then will be harder for your friends to find you. Also highly recommend using a DOB that is "close," but not your exact for Identity Theft Protection purposes -- something that you can easily remember and use everywhere on web and is no more than 2 or 3 years younger than your actual age so you can more easily "connect" with others of a similar age to you. To Gene's StumbleUpon Profile + Favorite "Thumbed up" Sites, Photos, and Videos "Blog." Looking for Something Specific? Search our 2 "Biggest" US Vacation Guide Sites.